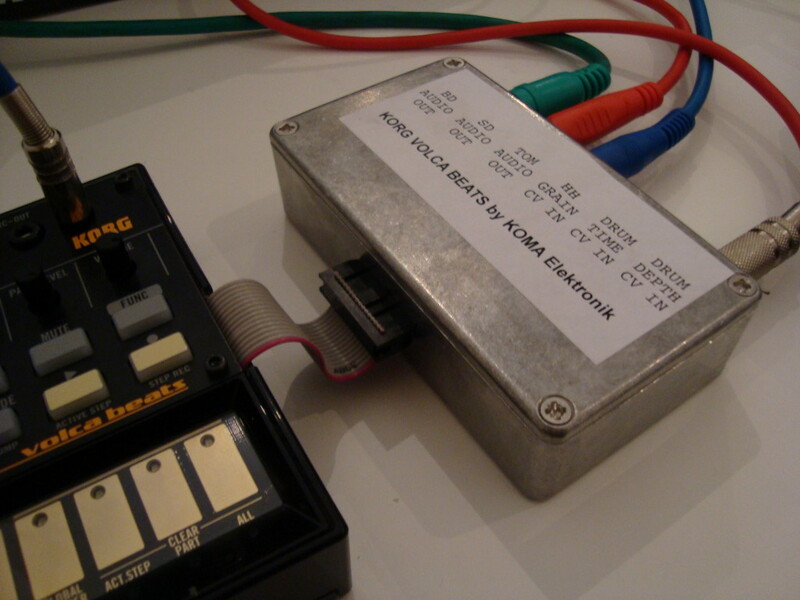 KORG’s volca series is ultra-compact, so KOMA fashioned this breakout box to accommodate their extra functionality. If you wished the volca beats had separate audio outs for different parts, or CV input, wish granted. KOMA’s first day of hacking reveals just what can be modded on these devices. When KORG’s Tatsuya Takahashi is involved in a project, you can expect some hackability. KORG surprised the music tech community by releasing filter schematics for its monotron and designing the boards for the monotron and Monotribe in such a way that opened them to modifications – like adding much-needed MIDI capability absent on those first devices. The KORG volca series already has MIDI input and most other features you want, so the majority of volca buyers won’t need or want to modify anything at all. That’s not bad for boxes that cost just US$150. But there are some opportunities for modifications for those who want them. volca series creator Tatsuya already hinted to CDM that we’d find a MIDI opportunity silkscreened right onto the board (the volcas include input, but not output). Today, we find out just what kinds of hacks the volcas should allow. Berlin boutique maker KOMA Elektronik managed to get a volca beats into their lab, and sat it on the same workbench where they design their own gear. KOMA isn’t planning any official modification services. And they’re quick to warn you that this manner of tinkering will void your warranty. Of course, that just means you should know what you’re doing – and if you do know what you’re doing, you may not need a warranty; you can repair your own gear. Add audio outputs for the beats. Right on the board, there are points for the toms, snare, hi hat, pink/white/ring noise, and sums of different combinations of the sounds. That means you can make separate audio outputs for the different drum sounds, as you’d find on a higher-end drum machine. In addition, KOMA added their own snare and bass drum outputs. Add Control Voltage inputs for analog control. The volcas have MIDI input, but not control voltage input. 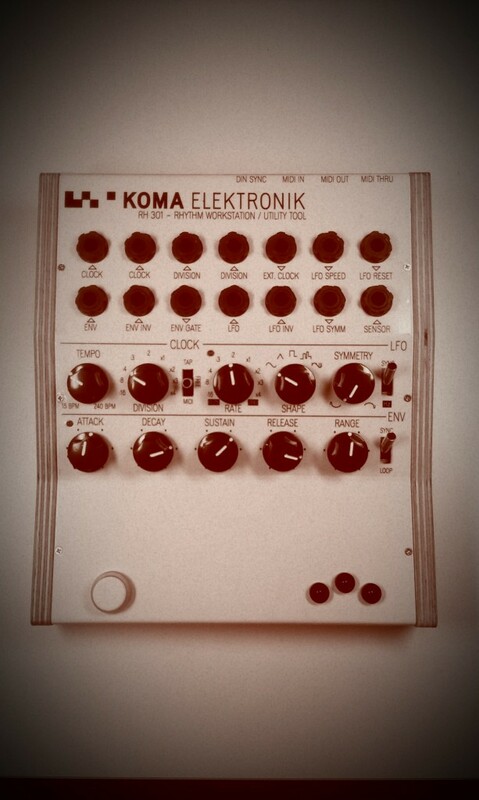 You’d want the latter for use with analog gear like sequencers – or KOMA’s own, rather lovely Kommander. This one’s a more advanced mod, but with the right points on the board, you can input 3.44V input (or built a circuit that modifies your input to the correct input voltage). You should find similar possibilities on the other volcas for CV. Add MIDI Output. KOMA didn’t try this one, but they confirm to CDM that MIDI output is an option visible on the board (though “not that super clearly marked,” they say). It seems that would most likely include the ability to output sync signal over MIDI, since many of the volcas controls are analog (and thus wouldn’t be a logical choice for MIDI output). It might also allow chaining over MIDI. Expect us to look into this and report back. We made a nice video with the KORG Volca beats with the Snare Output goes into a KOMA Elektronik BD-101 Analog Gate / Delay to give it a bit more edge, while the Depth, Time, and High Hat grain are controlled by a KOMA Elektronik KOMMANDER. Enjoy! But even if you don’t attempt this yourself, it’s a nice insight into the decisions made in the volca’s design to keep it so compact, and the possibilities these devices may have over time. Stay tuned as we see what else can be done with these gadgets – out of the box, or post-hacking. Ah, now you can see why they wanted to get that volca beats modded so fast. The KOMA RH-301 is a versatile-looking bridge between the analog and digital components of your studio – even for those who are just getting started collecting gear. Watch for our full hands-on. CDM can confirm that that product will be shipping worldwide on the 6th of September – and we’ll have a complete hands-on test. KOMA brags to us that it’s the “missing link between analog and digital, syncs up every studio.” Priced under 400 €, you get master clock with tap, an LFO, envelope generator, MIDI, and 14-point CV patch bay. It really is looking like a must-have for the resurgent analog/digital hybrid studio. And adding this and the volcas to your studio is well within reach of a lot of people. We’re excited to bring you more.